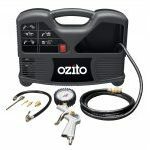 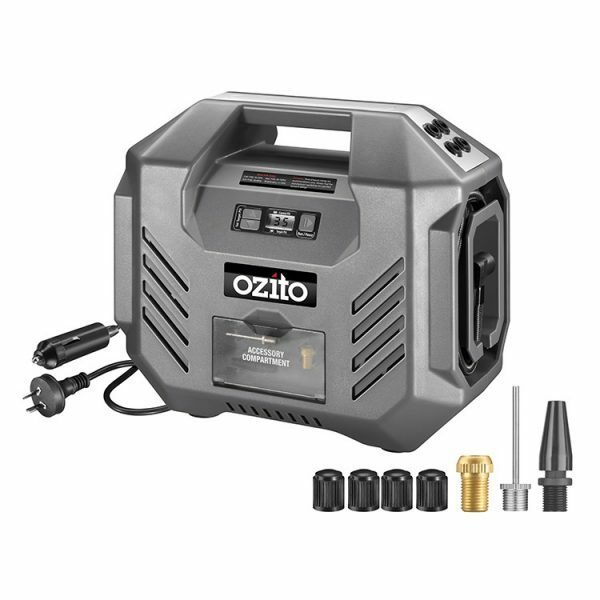 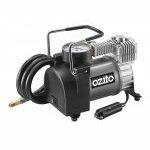 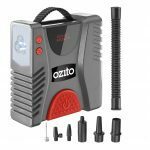 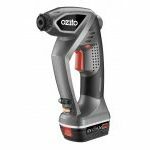 The Ozito DPI-5000 Dual Power Inflator is ideal for inflating car and bicycle tyres, sports equipment and small inflatable toys. 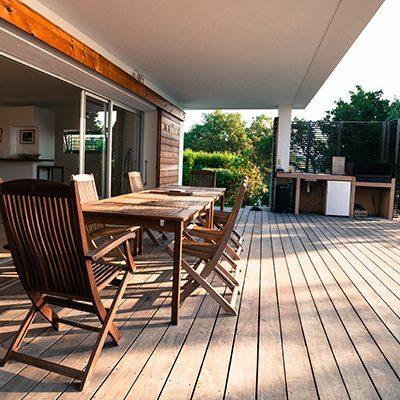 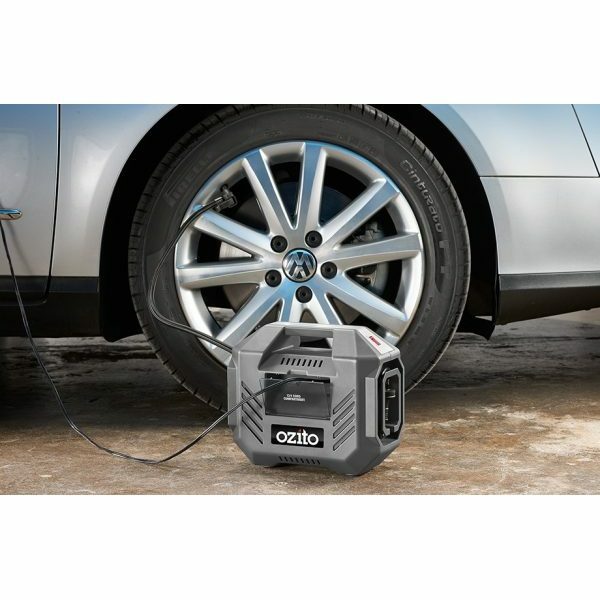 Connecting to both your 240V AC power supply around the home and 12V DC power through your car while you’re out on the road, it’s best for inflating products requiring high pressure, low volume of up to 120PSI through the quick connect air valve. 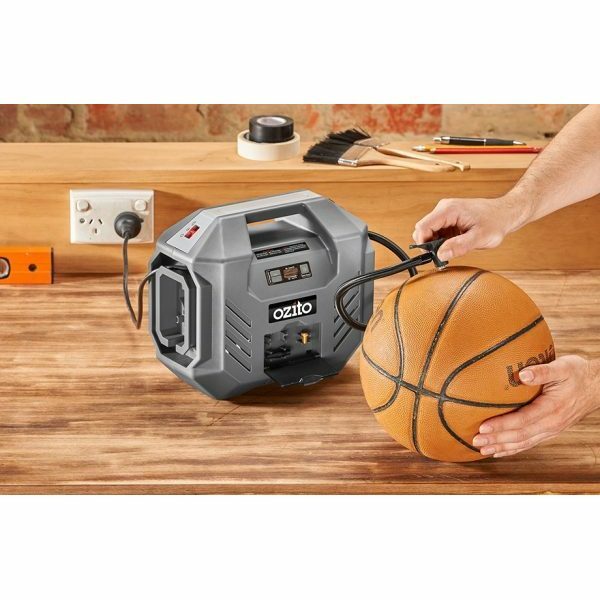 The digital display with pre-set pressure function makes precision easy as it automatically shuts down once the desired pressure is achieved. 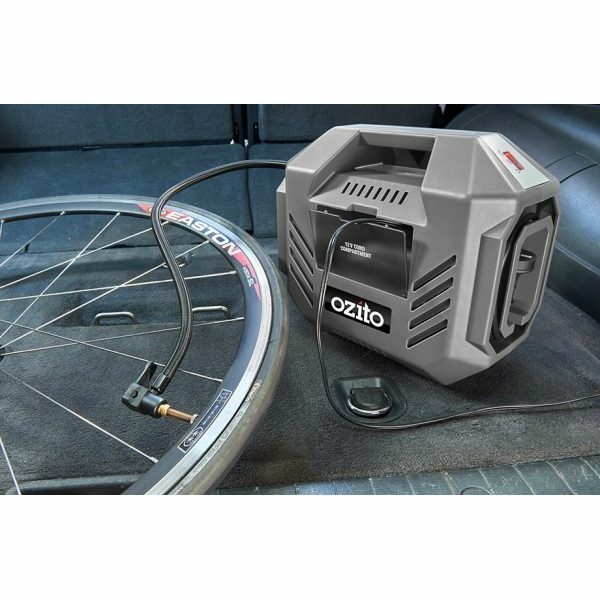 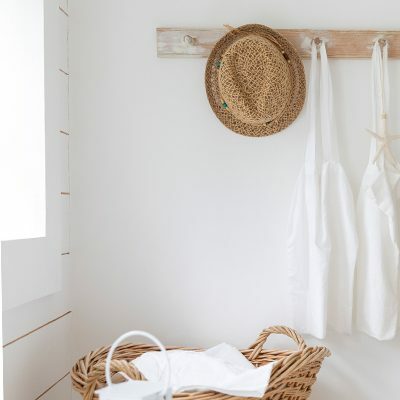 With handy on board storage for the Presta tyre adaptor, general purpose adaptor and ball adaptor, spare valve caps, air hose and cord housing, this unit is portable and easy to store in the home, garage or car.